Renovation Underway at Marquis Health Services Facility in Mt. 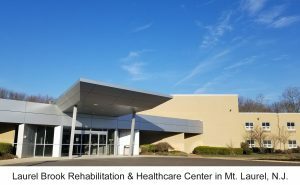 Laurel, N.J.
Change is well underway at Laurel Brook Rehabilitation & Healthcare Center, according to Norman Rokeach, chief executive officer of Marquis Health Services. The Brick, N.J.-based skilled nursing provider, which assumed operation of the 220-bed Mt. Laurel facility in 2017, has incorporated advanced specialty programming to further enhance care and services, and has partnered with two leading healthcare networks in the process. Marquis also recently launched a $2 million renovation at Laurel Brook. Located at 3718 Church Road, Laurel Brook provides post-hospital care, short-term rehab, memory care, long-term and respite care, and features a popular, dedicated Korean Community wing. 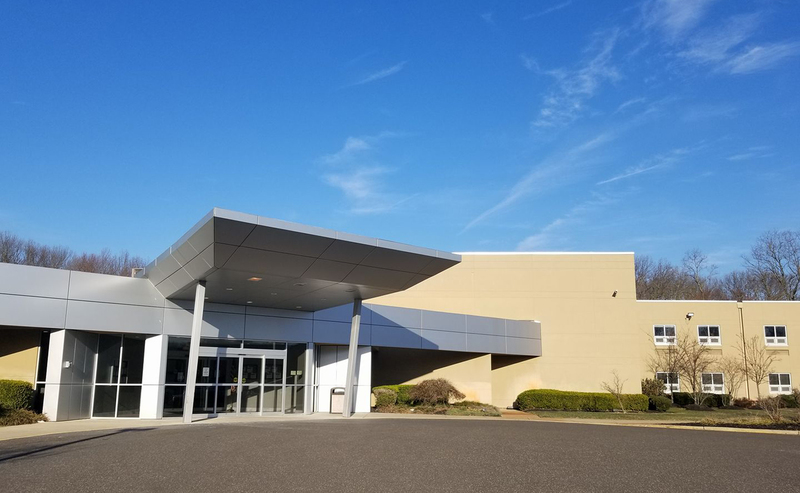 Under Marquis, the facility has earned a deficiency-free survey from the New Jersey Department of Health, and secured certification from the Centers for Medicare & Medicaid Services (CMS). Laurel Brook recently incorporated a new cardiac program for acute and chronic disease management, which is being overseen by The Lourdes Cardiology Services, one of the region’s leading healthcare providers, and an onsite nurse practitioner. Marquis also has enhanced Laurel Brook’s chronic kidney disease management program, which now offers on-campus hemo dialysis services, routine nephrology oversight and consultative visits, as well as a disease-specific menu and an onsite community support group. Laurel Brook’s specialty programming includes a wound care program in collaboration with a leading wound care provider. Additionally, Marquis has partnered with Virtua, one of New Jersey’s largest, non-profit health systems, which provides services through Virtua Medical Group’s 500 physicians and other clinicians. The organization is providing attending services for Laurel Brook patients. Laurel Brook’s subacute rehab services focus on restoring independence and maximum function to those recovering from orthopedic surgeries or strokes, as well as individuals with cardiac and pulmonary conditions. Physical, occupational and speech therapies are provided seven days a week. Laurel Brook also features solution-driven Respite Care services, geared toward offering a temporary break for caregivers. The facility also has a 30-bed secured Memory Care unit that provides a nurturing setting for individuals with dementia and Alzheimer’s disease. Marquis’ multi-million-dollar Laurel Brook renovation includes a head-to-toe update. Among the highlights is the construction of a 3,000-square-foot therapy gym with state-of-the-art equipment, including a smart car to help patients simulate actual daily living skills during the rehabilitation process. Additionally, all common areas and the private suites in the facility’s subacute rehab wing will be updated. Upgrades to Laurel Brook’s long-term care floor, and the redesign of an outdoor courtyard for patients and their families are in the works as well. Laurel Brook’s recently renovated, 45-bed Korean Community wing further distinguishes the facility. There, Korean seniors benefit from high-quality skilled nursing care in a cultural setting. With the support of caregivers and medical professionals who share their values and speak their language, residents enjoy familiar traditional décor, ethnic cuisine prepared in-house, and special cultural programming and recreational activities. Marquis Health Services currently operates 12 skilled nursing properties in the Mid-Atlantic region – with locations in New Jersey, Pennsylvania and Maryland. The organization’s growing portfolio also includes 10 facilities in New England. Today 75 percent of the Marquis Health Services portfolio has received four- and five-star ratings for outstanding care. Marquis Health Services is the healthcare affiliate of Tryko Partners, LLC, a family-owned organization with three generations of skilled nursing involvement. © 2019 Laurel Brook Rehabilitation and Healthcare Center. All rights reserved.